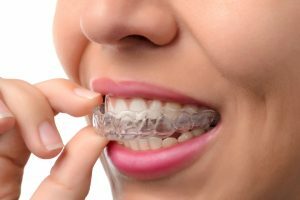 In our blog this week, we are going to talk about adult braces, Invisalign, and the benefits of having straighter teeth. Most people are aware of the fact that crooked teeth can be unsightly, but most people do not realize that crooked teeth can actually be unhealthy. According to the American Dental Association, malocclusion affects 74% of adults in the United States. Malocclusion is the misalignment of teeth and it can cause many adverse effects. Here at Pelican Landing Dental, we are committed to patient educations and all things dentistry. One way that we educate our patients is through our blog. If you are interested in straightening your teeth, please read more about our Invisalign services. If you have any further questions or if you would like to speak with one of our dental providers about the alignment of your teeth, please feel free to contact us at any time electronically or call (239)449-6104. Malocclusion is the misalignment of teeth. There are various types of malocclusion and people can have these problems mildly, moderately, or severely. The severity of the malocclusion can help to determine the various treatment options that exist. Some of the most common forms of malocclusion are crowding, spacing, deep bite, open bite, cross bite, edge-to-edge bite, and excess overbite. Each of these problems can exist on its own or they can exist in combination with each other. It is important to have a consultation with your dental provider to determine the type and severity of your malocclusion. Your dentist will then work with you to create the most effective treatment plan that best meet your needs. What are some Signs of Malocclusion? Malocclusion can present in many different ways and it is also associated with various dental diseases and jaw problems. When teeth are not properly aligned, it is more difficult for you to clean them with a regular toothbrush and floss. This lack of cleansability can present as gum disease or periodontal disease. Malocclusion can also cause abnormal amounts of stress to be put on the teeth and jaws. This can lead to chipping of the biting edges of the teeth, notches in the teeth at the gum line, or jaw joint pain. Jaw join pain can also lead to headaches and earaches. How Can Straighter Teeth Benefit You? Obviously, straighter teeth can boost self esteem and create a beautiful smile. Additionally, when teeth fit together properly and are properly aligned, future dental problems can be prevented. Straight teeth are much easier to clean with a toothbrush and floss than are crooked teeth. This can prevent gum disease and periodontitis, which can be very difficult and expensive to treat. Properly aligned teeth can also prevent teeth from chipping and fracturing. Fractured teeth often need root canals or large fillings. Chipped teeth can be unsightly and uncomfortable and also needs to have fillings or bonding. Straight teeth that fit together comfortably when biting can help prevent costly dental care in the future. Invisalign works with clear, plastic trays called aligners. Every two weeks, your dentist will give you a new custom aligner that will cause your teeth to gradually move and align. These trays are worn at all times except for when eating, drinking, brushing, and flossing. Most people prefer Invisalign over traditional braces because they are much more comfortable and better looking. The average treatment time for Invisalign is 6-15 months. You can learn more about Invisalign treatment by watching this video.